Multnomah Falls to Larch Mt - 2018/12/02 - Chiyoko & Guy's Photo Site. Continuing are explorations of the newly reopened Western Gorge we hiked up to Larch Mt from Multnomah Falls & back. We hit snow at around 3000', no panoramic views but great to be back on Larch Mt. About 14.5 miles & 4100' of EG. We made it to the top at the same time as a bunch of other folks did! 2018/12/02: Continuing are explorations of the newly reopened Western Gorge we hiked up to Larch Mt from Multnomah Falls & back. 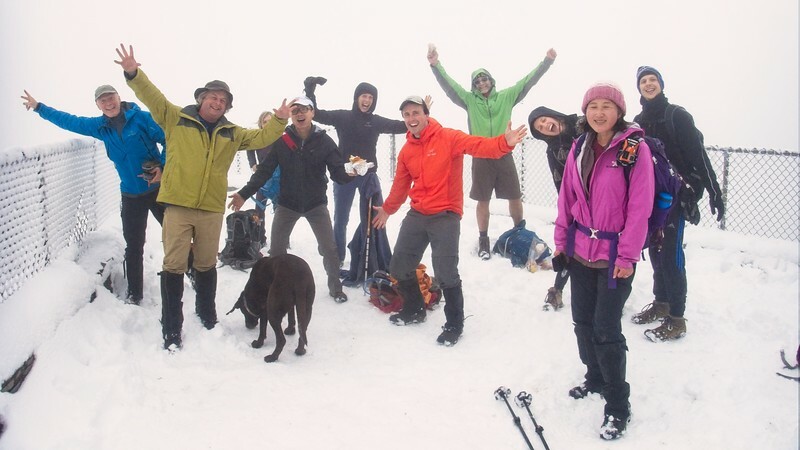 We hit snow at around 3000', no panoramic views but great to be back on Larch Mt. About 14.5 miles & 4100' of EG. We made it to the top at the same time as a bunch of other folks did!